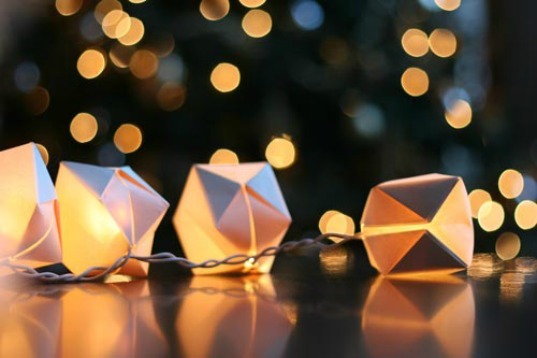 If you haven’t yet sorted out your dazzling decorations for the holiday season, revamp last year’s string lights with these pretty paper cube designs! This step by step tutorial from Wit and Whistle is simple, easy to follow, and perfect for DIY decorating. 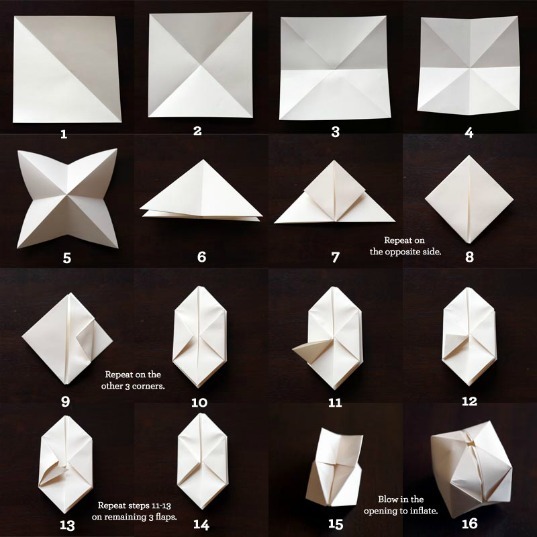 So instead of buying a whole new set of lights to pump up your seasonal decor, you can just recycle the ones you have by giving them an adorable, lantern-like touch with these quirky origami boxes. This idea is also a great way to keep Christmas lights going post-holidays! See http://www.youtube.com/watch?v=Tgaw1Ekyizk if you need help creating the box. Between the diagram above and the video you should be able to accomplish this. It gets easier with practice. how do we do step 11? Revamp last years string lights with these pretty paper cube designs! This step by step tutorial from Wit and Whistle is simple and easy to follow, perfect for DIY decorating.